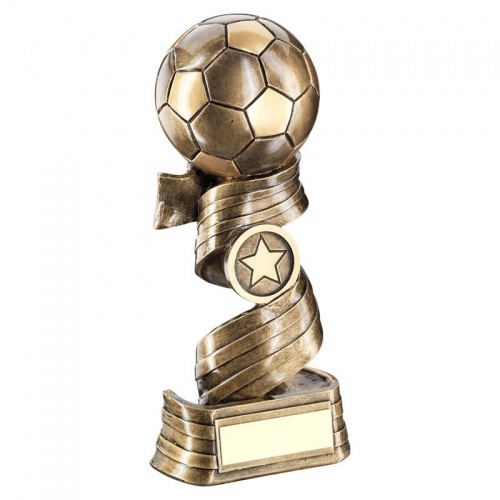 These distinctive football trophies are made in resin and have a bronze and gold colour finish. They comprise a football mounted on top of a ribbon style stem, with a 1in centre and set on a base with engraving plaque. Available in three sizes, offered with text and/or logo engraving options.